With Valentines approaching, I wanted to create a Valentine tablescape in the breakfast room. Red tulips are neatly arranged in my red vase. The red ceiling compliments this color scheme. I love this tablecloth that looks like MK. 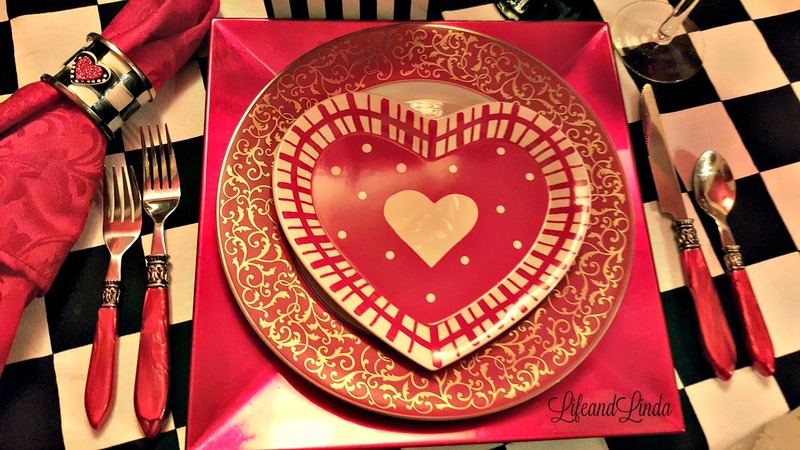 I am using Mikasa Parchment Red dinner plates with red and white heart shaped salad plates. Red chargers and red napkins are added. MC napkin rings from my friend, Liz. Black dramatic goblets with cute black and white striped straws with a red heart. Red flatware from Horchow. 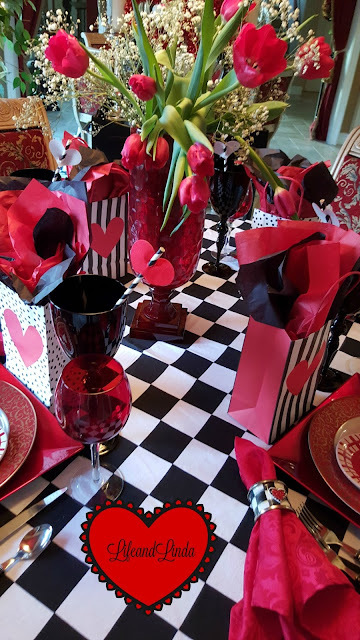 Each place setting has a gift bag color coordinated with the tablescape. Dollar Tree red double hearts hang off the chandelier. Happy Early Valentines. 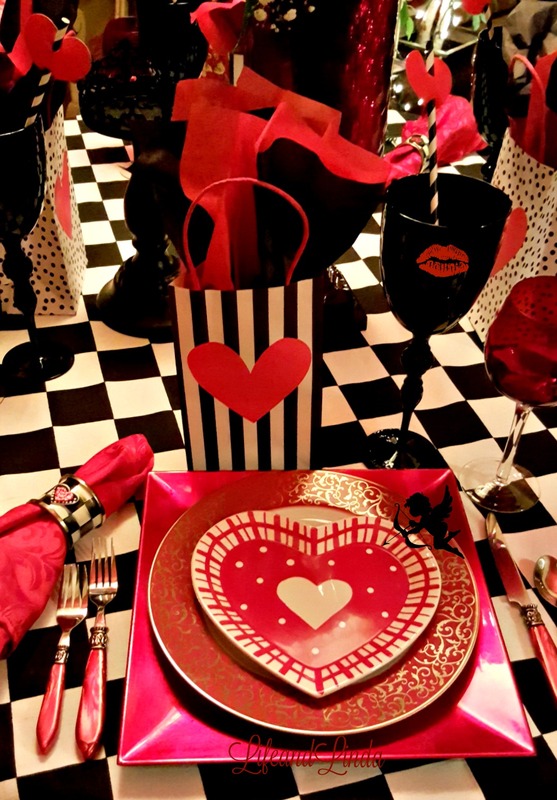 I shall be posting a pretty in Pink Valentines table too! 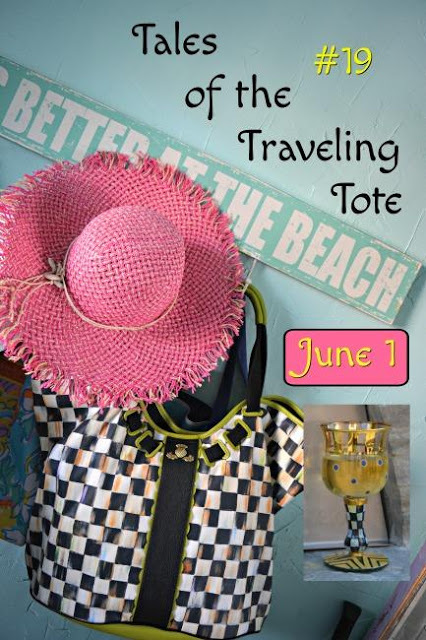 Don't forget about linking up to our link party on Sunday. Fabulous Linda. Love the checked tablecloth with the red plates. The.black goblets are perfect for the theme. Gotta love this one. 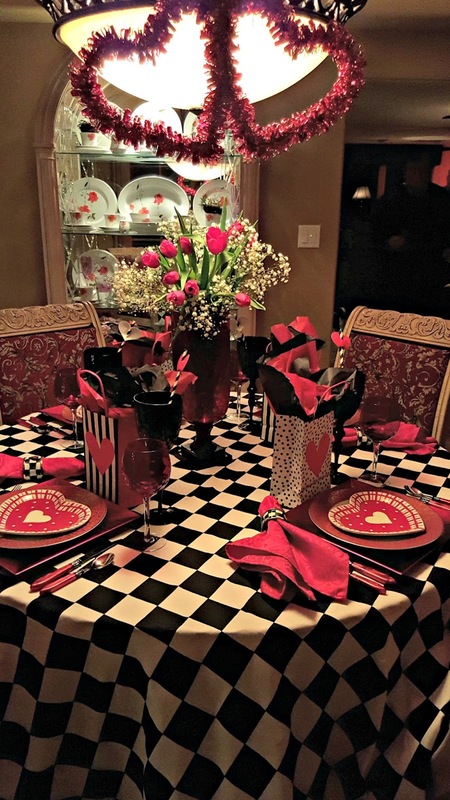 Very pretty table, love the black checkered table cloth, it makes the red pop. Stunning! And I love the red ceiling! What a dramatic design! I'll have to do something special for the grandkidlets to take my mind off it. This is so cute Linda! Starting with the checkered tablecloth that definitely reminds me of MC! I love all the details like the wine glasses and heart dishes. The tulips make a cute centerpiece and I like the cute gift bags. I need to get going on doing mine! 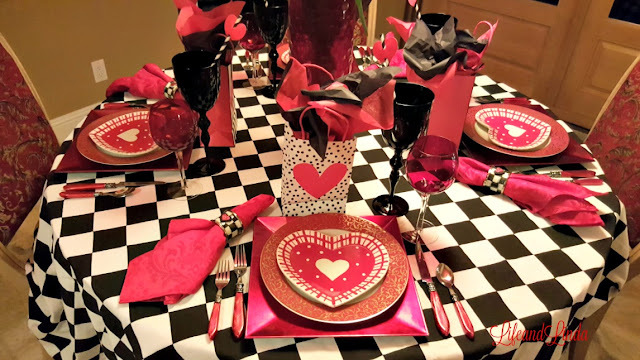 That black checkered tablecloth sure makes everything POP! Beautiful! How fun was that one to do? 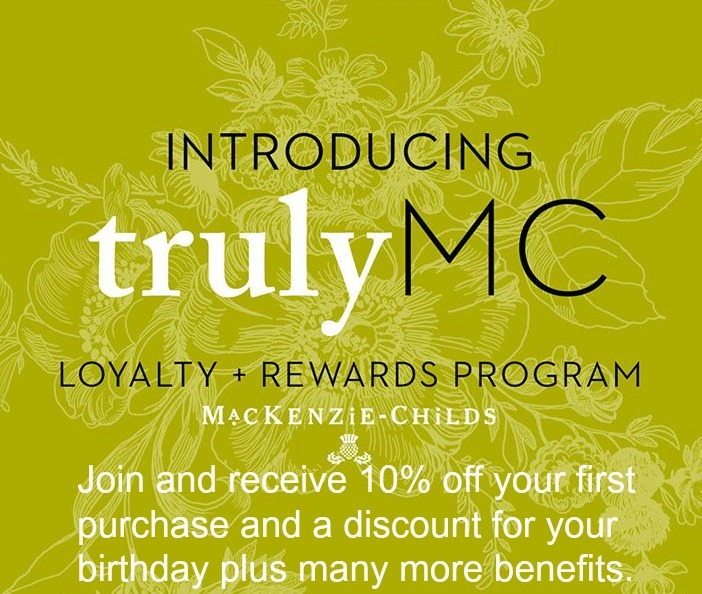 Funny that I'm tweaking mine that is black and white checks, too! Very lovely job! I think it's time for a party! Dramatic. Impact. You should be on Cinema Business. 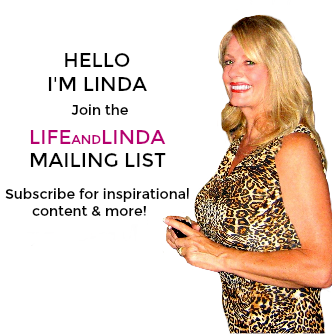 What wonderful setting you'd create Dear Linda! This is something worth of an Academy Award. Happy Valentine's Sweet Lady. 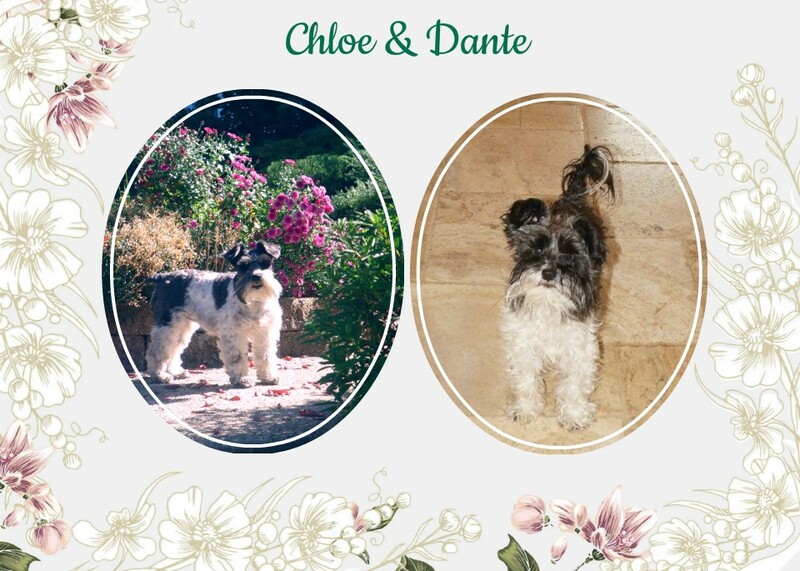 May Love be always a constant in your long and healthy life. 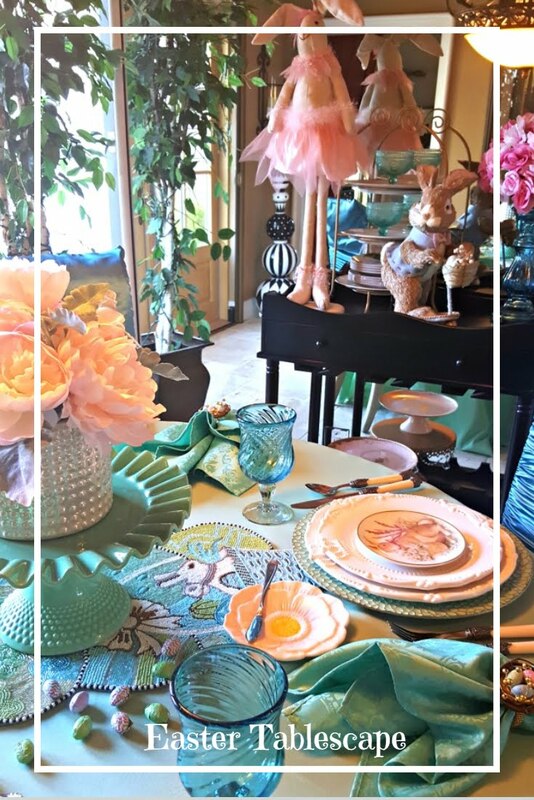 I ❤️ your tablescape, Linda! The checkered cloth does remind me of MC. Of course, all the red you've used is a favorite of mine! Those napkin rings from Liz are so cute! You always set such a pretty table. 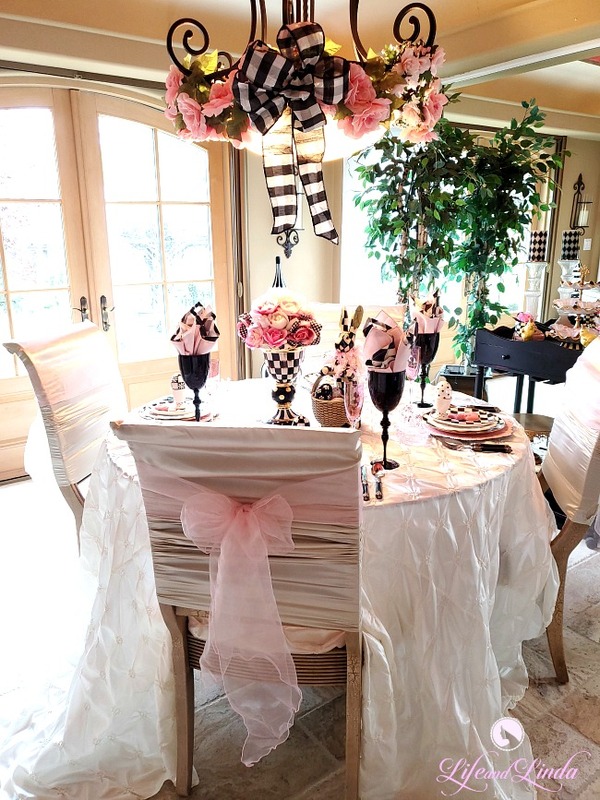 That checked tablecloth is a perfect backdrop for the rest of your wonderful table setting. 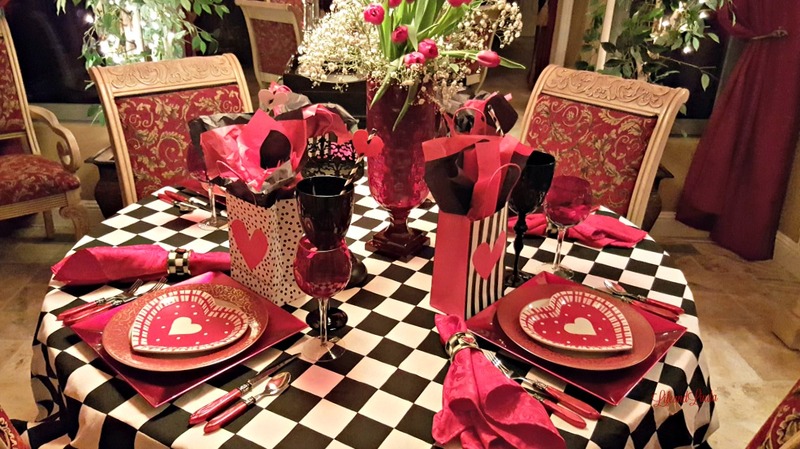 Valentine's Day is our anniversary so it is a good excuse to set a lovely table (unless we go out to dinner which is a treat as well!). I have been eyeing this post and here I am in full happiness enjoying each well thought out detail and design. This tablescape is perfection for celebrating a romantic evening with our sweethearts. 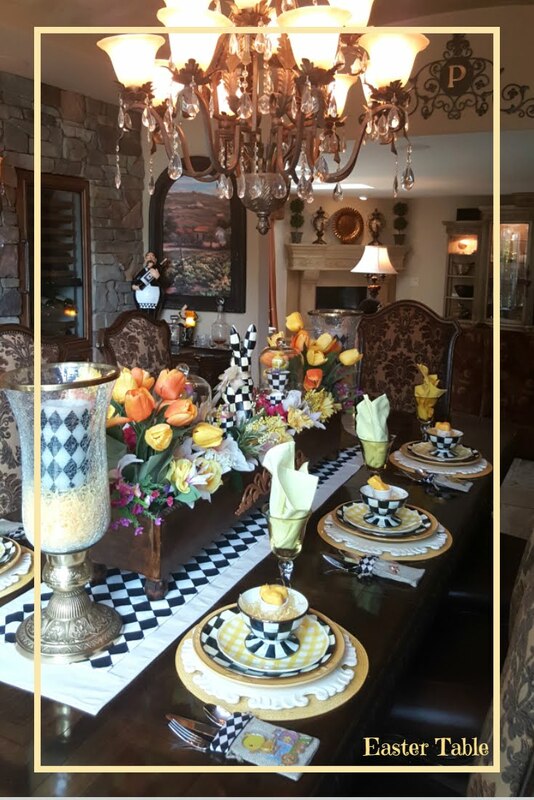 From the tablecloth to the the cutlery and oh those tulips! So beautiful ~ as usual! 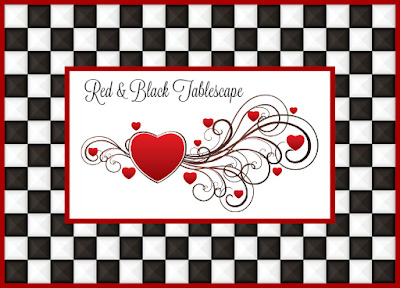 Of course, I love the black, white and red. Every detail is just perfect! 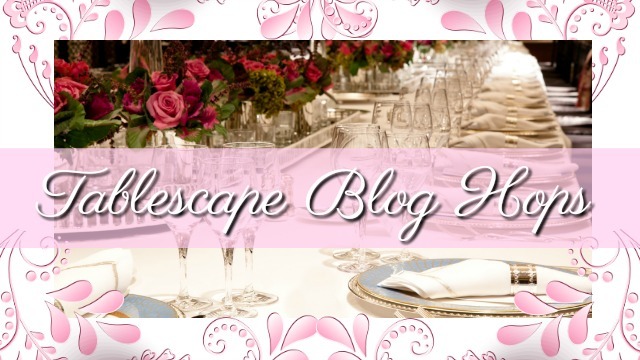 Your table is so cute and charming---it really puts me in the mood for romance with a little whimsy. Thanks for the ideas! 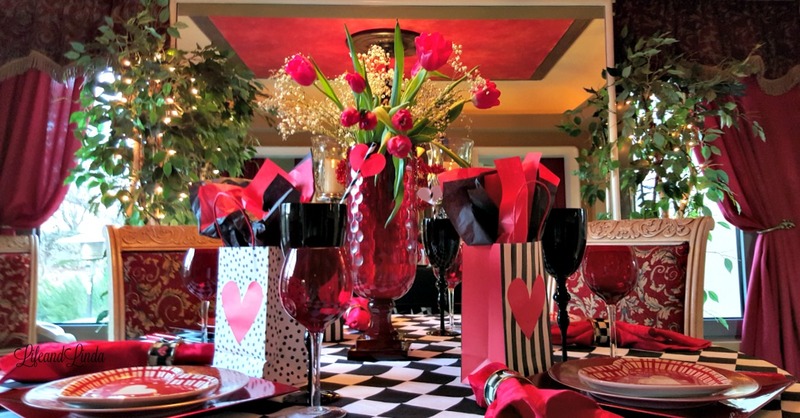 What a stunning, elegant and romantic Valentine's setting dear Linda! As always you have just the right dishes to create your fabulous tables. The black and white check cloth is totally awesome!